Ingredients | Cupcake Villains Strike Again! Happy spring! It’s been quite a long time. I feel as if I’ve exhausted a lot of cupcake flavor possibilities, and it is a rare occasion when a new idea pops into my head. 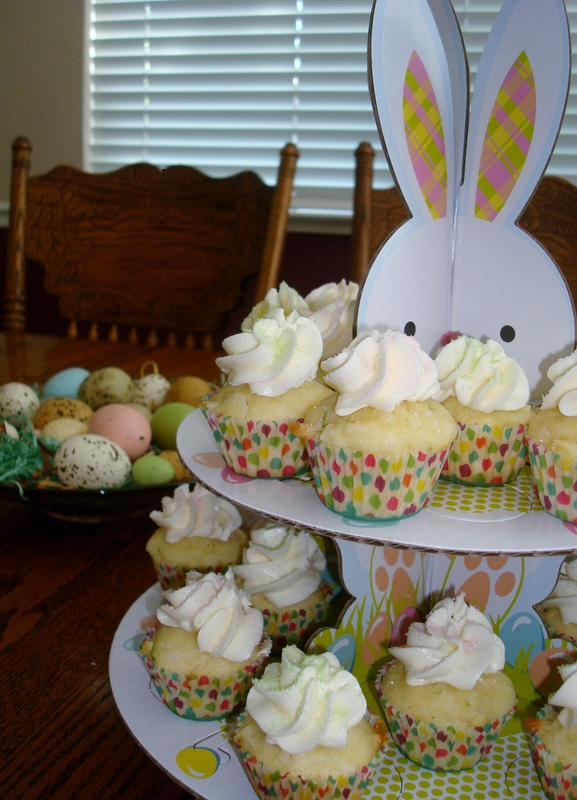 These cupcakes were baked for Easter last Sunday. Our family has a new addition, my baby nephew Cyrus, and he was a week old on Easter! Because things were crazy and his mommy and daddy were taking it easy, we had an Easter lunch of sandwiches and salad. Delicious sandwiches and salad. Due to the lighter lunch, I wanted a nice, not to heavy cupcake to have for dessert. This was the result! Last year I offered my baking services to the Sacramento Children’s Chorus and pledged to bake a dessert each month for the highest bidder in a silent auction. I’ve actually loved fulfilling my commitment because the winner has requested some desserts that are not in my regular arsenal. This month, he requested a key lime pie. As I set out to baking said pie today, I looked around my kitchen. 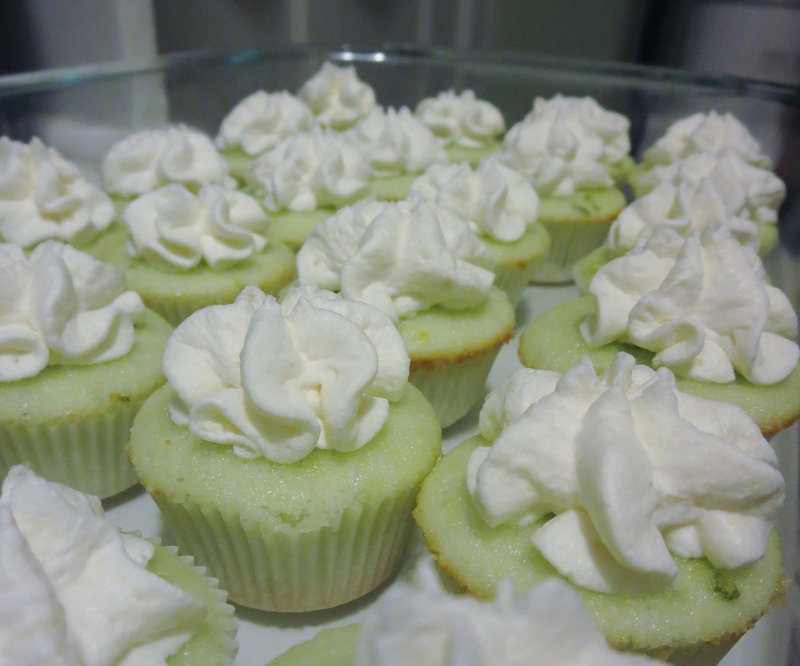 I had lime juice, zest, and enough whipped cream topping to act as frosting! And the Key Lime Cupcake was born. I wanted this cupcake to be super light, so I decided on a white cake as the base. This also work well since I only used egg yolks for the key lime pie. Yay to me for being efficient with my ingredients! The white cake, kicked up a notch with lime juice and zest, turned out fluffy and cloud-like. Because of this, I’m really glad I decided to use a whipped cream topping. Anything else, like a butter cream or cream cheese frosting, would be so heavy I swear these little cakes would collapse. With the frosting, I’m trying something new: stabilized whipped cream. I found instructions for it here and it claims that the addition of the gelatin adds a bit more body and prevents the melting of the whipped cream as the cakes sit and wait to be eaten. Because I’ll be taking these to share with co-workers and fellow volunteers tomorrow, I think that this whipped cream was the perfect choice. I had the amazing opportunity to go back to Denmark this summer for the third time. In Denmark, the predominant flavor for sweets and alcohol, much to my dismay, is licorice. Salted licorice candy and liquors like Små Grå dominate the market. I had to get used to the question, “Does it taste like licorice?” when offered anything new. Thankfully, Denmark does rely on other flavor profiles, and much to my surprise, I have fallen in love with other candies and liquors. Has anyone heard of Fiske Fjæs? One shot of that menthol-tasting alcohol and your sinuses will be cleared! I always go back to an original favorite, though. Eight years ago, almost to the day, I arrived in Copenhagen, Denmark, for a semester abroad. One of my first trips with my classmates was out on a fishing boat. We started the journey with a shot of ice cold Akvavit, or Snaps. Danish Akvavit does not rely on licorice, thank goodness, but on caraway and dill. It sounds like it would not be pleasant, but there is something earthy and satisfying about it! 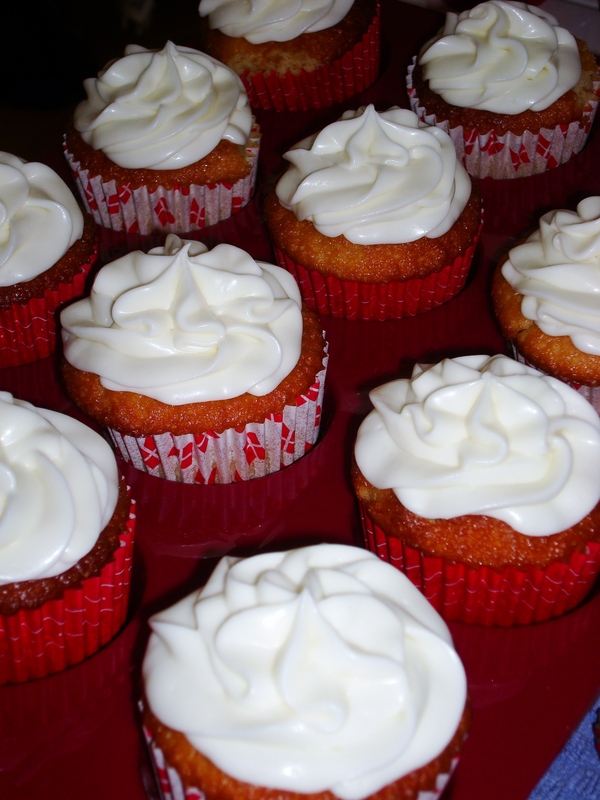 For these cupcakes, I used Danish Aalborg Akvavit. I decided to pay homage to licorice through the use of fennel seeds in this cupcake. 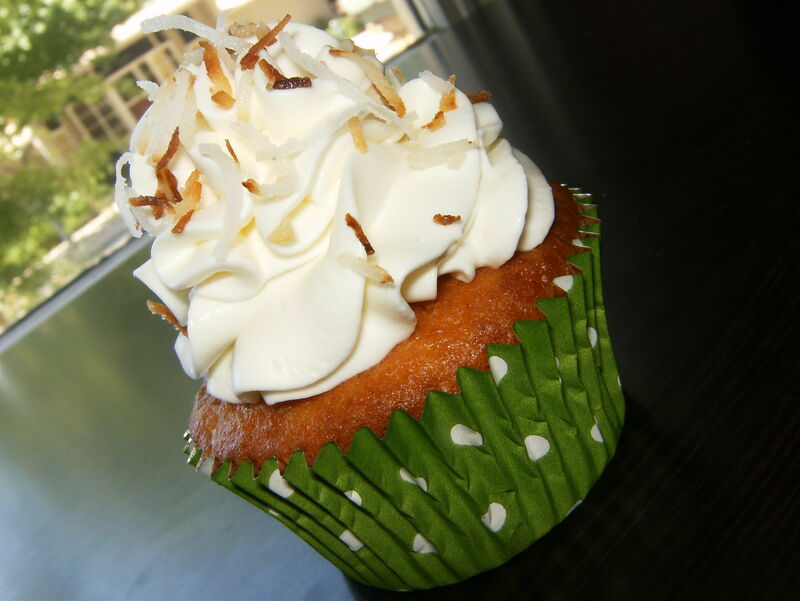 Pair it with the herbaceousness of the Akvavit in a cream cheese frosting, and you have a Danish-inspired cupcake! It is summer time! My school year is almost complete – just two more finals to give to students – and then I will be FREE for a few months. I have wonderful trips planned to Alaska and Europe, so there will be few cupcake posts this summer (not like there have been many recently). Anyway, to celebrate the end of the school year, some colleagues and I are throwing a BBQ. I asked them what flavor cupcake they wanted, and piña colada was the answer. A good summer cupcake, me thinks. In fact, these were some of my best in a LONG time. 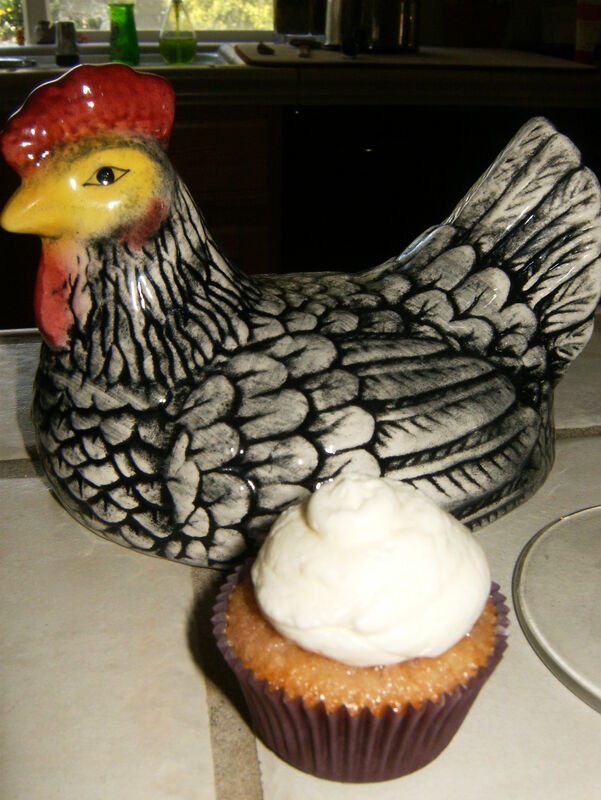 The cupcake was fluffy and moist (thanks to the crushed pineapple), and I whipped the frosting into a nice consistency. One of my coworkers, with whom these were shared, described the frosting as being light and yet rich. Score! Saddened by the cupcake not looking that pretty…but they tasted wonderful! 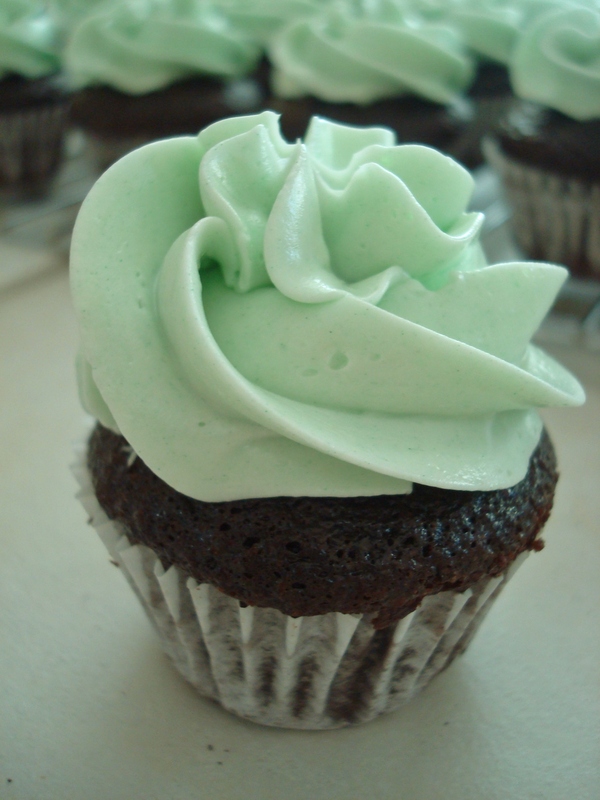 I’ve been dreaming about that Swiss meringue buttercream since I made the Andes Mint Cupcakes! The texture was so silky and light, like a cloud. I knew I had to do another cupcake with it, so I did. In my CSA produce delivery box I received both strawberries and lemons this week. So, that became the theme for today. I usually use all of my CSA delivery to inspire my dinners, and I rarely use it in baking. But this just made sense. I mean, spring is starting, today was Easter Sunday, and a strawberry and lemon cupcake will be absolutely perfect. There’s not much of a back story to these cupcakes. 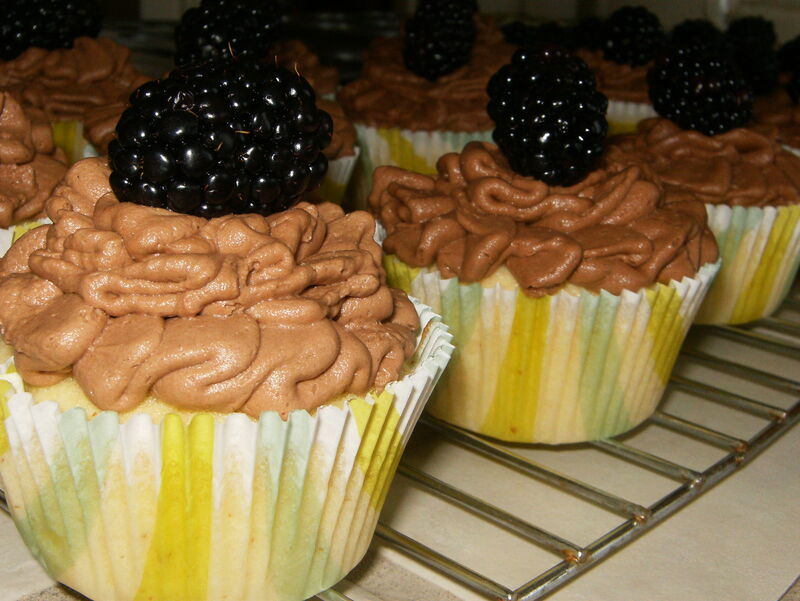 Blackberries were on sale at my local market, and I wanted to use them to top a cupcake. I utilized an almond cupcake recipe I’ve used before, and tried out a new way to do buttercream (inspired by my foray into vegan baking) that uses shortening as well as butter. I’m really pleased with it and I think I’ll be using that combo for all of my buttercreams from now on! I did a simple 1-1 ratio, and it turned out well. I will say that with just using cocoa powder, the frosting tasted very much like milk chocolate. Next time, I’ll try using some melted bitter-sweet chocolate to give it more depth of flavor. All in all, a very good cupcake!